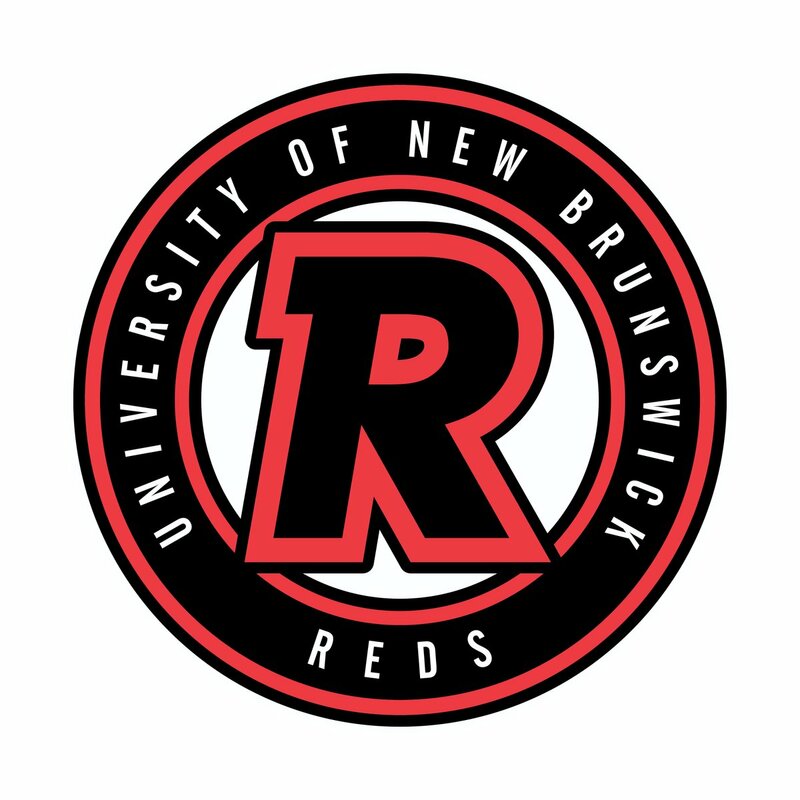 The University of New Brunswick took another step in the re-branding process of their athletic teams today, releasing a new logo sporting the Reds moniker. It had previously been announced that the "Varsity" was being dropped from the name in an effort to make it more inclusive. The new logo has already begin to pop up around campus, including at centre ice in the Aitken Centre. There will also be secondary logos which feature a lone "R" as well as a "Reds" mark. The University of New Brunswick Reds announced their final recruit of the summer this afternoon, confirming the addition of defenceman Noah Carroll out of the Ontario Hockey League. Carroll is the younger brother of former standout forward Tyler, who played for UNB for five seasons between 2011 and 2016. Carroll is a 2016 6th round draft pick of the Carolina Hurricanes who split his junior career between the Guelph Storm and, most recently, Sault Ste. Marie Greyhounds, where he was an alternate captain last season. He had by far his best statistical season last year while playing with a dominant Greyhounds squad, setting career highs in goals (7), assists (30), penalty minutes (71), and +/- (+37). He added another 3 goals and 3 assists in 24 playoff contests, including a highlight reel overtime goal in game 4 of the OHL Final against eventual league champion Hamilton. Provided all of the previously announced recruits show up - and there are no surprise departures among the eligible returning players - the addition of Carroll means UNB will enter the season with a full complement of 22 skaters (15 forwards/7 defenceman) for the first time in recent memory. The 6'1'', 183 pound left shot defenceman from Strathroy, Onatrio has previously attended NHL training camps with the Hurricanes and Toronto Maple Leafs. Teammates Mark Simpson (Washington), Matthew Boucher (Colorado), Mark Rassell (Los Angeles), and Samuel Dove-McFalls (Columbus) have all been invited to participate in rookie camps early next month. It is unknown if they will be available when UNB plays their first pre-season game on September 14th at the AUC against McGill. Former 4th round Philadelphia Flyers draft pick and Saint John Sea Dogs centre Samuel Dove-McFalls is the newest member of the University of New Brunswick Reds, the team announced earlier today. The 6'2", 207 pound Dove-McFalls spent the first four seasons of his CHL career down the highway playing for the Saint John Sea Dogs, helping the team win a QMJHL championship and a Memorial Cup berth in 2017. While in SJ, the 2015 NHL draft pick posted 42 goals and 67 assists in 212 games and also served as their alternate captain his last three years. The native of Montreal, Quebec was then traded to the Rimouski Oceanic prior to last season and was not only named their team captain, but also had the best statistical season of his career to the tune of 22 goals and 51 assists in 64 games. He added another 9 points in a 7 playoff games. In addition to his offensive prowess, he also earned the Guy Charbonneau Trophy, which is given annually to QMJHL's top defensive forward last season. It might not be a stretch to envision Dove-McFalls - who is strong in the face-off circle and on the penalty kill - beginning his UNB career by sliding seamlessly into the 4th line centre role left vacant with the graduation of Dylan Willick. With the addition of Dove-McFalls, to go along with previously announced recruits Patrick Watling, Mark Rassell, Matthew Boucher, and James McEwan, the Reds currently feature a very deep and talented forward crop heading into the season. Dove-McFalls becomes another in a long line of former Sea Dogs to find homes in the AUS this offseason, joining former teammates Cole Reginato (Acadia), Bailey Webster (St. FX), Will Thompson (St. FX), and Blade Mann-Dixon (St. FX). When you factor in current AUS players such as Stephen Anderson (UNB), Matt Murphy (UNB), Olivier LeBlanc (UNB), Oliver Cooper (UNB), and Adam Bateman (SMU) in addition to former players like Mike Thomas (UNB), Pierre Durepos (Moncton), Michael Kirkpatrick (St. FX), Stephen MacAulay (SMU) Saint John has to be considered one of the top CHL teams in the country in terms of sending impact players to the AUS, if not all of U Sports. In a move that was announced weeks ago, UNB Athletics has begun a re-branding exercise which includes changing the name of the varsity sports teams from Varsity Reds to, simply, Reds. While the traditional red, black, and white colour scheme will remain in place, a new logo is being developed which will be unveiled prior to the upcoming 2018-2019 AUS season.